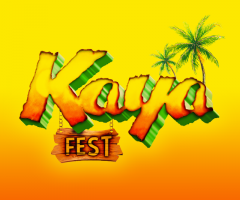 Sunday morning was shining at the NOS Event Center in San Bernardino, California for Day Two of Kaya Fest. The gates opened a little late, but not to worry, the music-hungry fans were satiated by one-man band Jah Stix right off the bat. 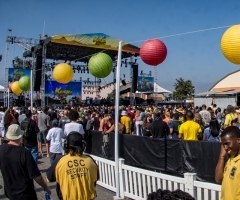 The place was soon packed, as rootsy reggae attendees anticipated one of the best lineups in festival history: Third World, Kabaka Pyramid, Chronixx and, oh yeah, Stephen Marley joined by brother Damian "Jr. Gong" in a surprise acoustic set! The Marley brothers all joined forces on one stage the night before, you see, so seeing Stephen and Damian team up back-to-back was quite a treat! Also in the mix was Latin fusion sensation Zion y Lennox, complete with jumpsuited flash dancers, and hip hop legends Cypress Hill who still stole the show at such a late Sunday hour. Kabaka Pyramid played banger after banger off his latest album that no one can get enough of, Kontraband, and had impressive high kicks with his guitarist that got the crowd going wild. And, lest we forget, the whole day was headlined by the majestic and mesmerizing, Ms. Lauryn Hill. 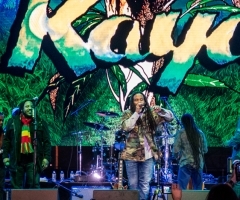 With vibes high and hearts overflowing, Kaya Festival 2018 came and went, leaving festival-goers stoked for what Year 3 may bring.